This is the sort of government costcutting that will save Spain! 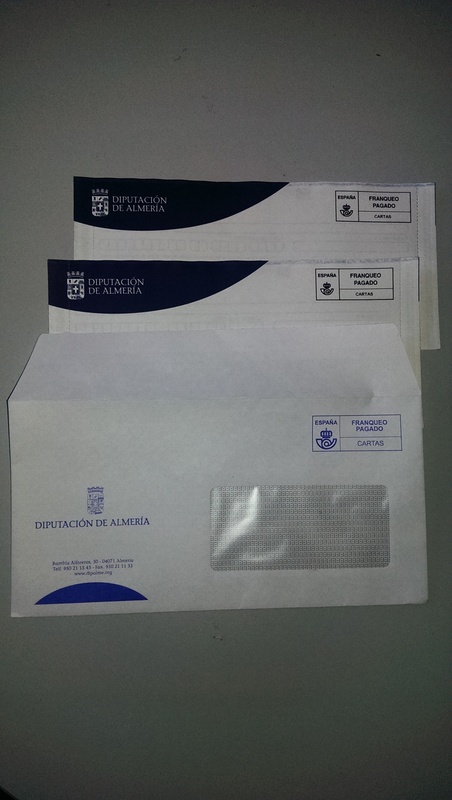 Two bills arrive for the company from the Diputación, both rubbish bills, sent out regular as clockwork four times a year. Now, some penny counter in the government has obviously thought that blighter Mr Jackson! He’s costing us TWO stamps every quarter! And hunted through 64,000 preprinted bills to find my two, and stuffed them into one single envelope, thus saving on one stamp. I wonder how much he gets paid an hour? Because even if it only took him, say, three minutes to find my two bills, look for an envelope, put them inside and leave them in his out tray… I bet that costs more than the 32cents the stamp costs. Hmm. This entry was posted in Blog and tagged austerity, bill, cost cutting, diputacion by David. Bookmark the permalink. Better than that the two envelopes inside were franked so they have now paid 3 times instead of 2 as well. So he didnt save a stamp he cost them an extra one. Well done pal, thinking like that could bancrupt any one…. ← Previous Previous post: Garrucha prawns are back!